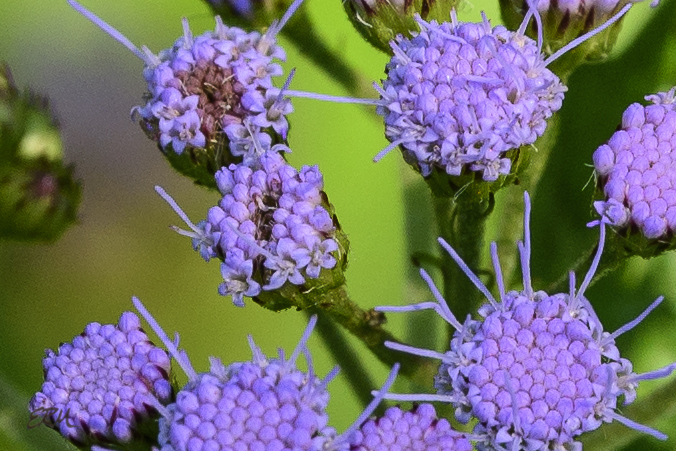 This entry was posted in Uncategorized and tagged Asteraceae, Conoclinium, Eupatorium, mistflower, plant ID by elizabeth. Bookmark the permalink. It looks like feral ageratum. Two feet tall is still a pretty good height. 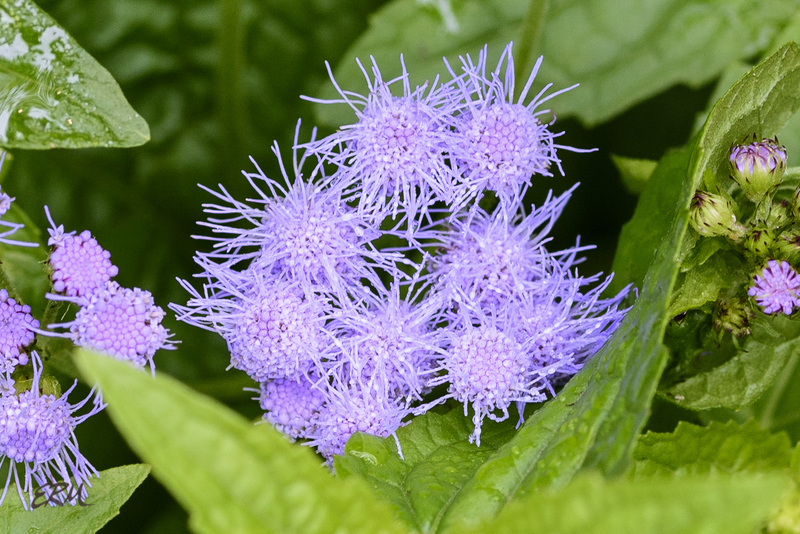 I have worked indirectly with ageratum before, but have never grown it. 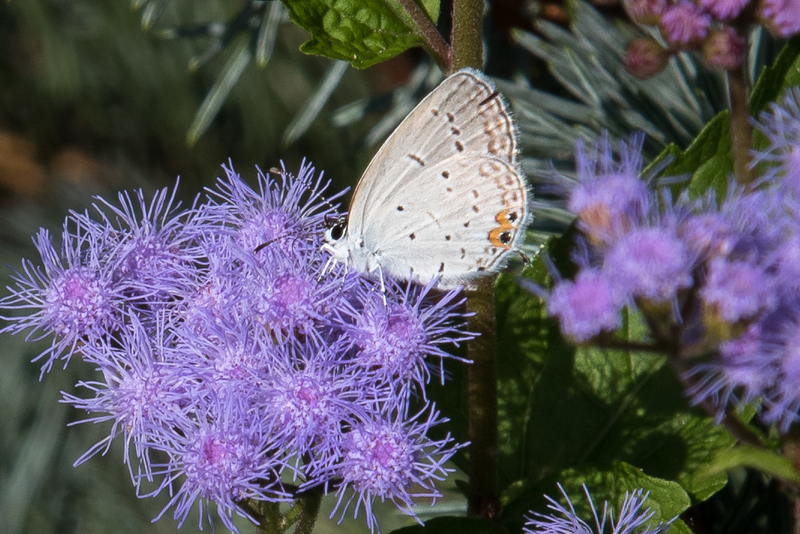 I like the blue, and I like the fuzzy flowers, so something that looks like sounds appealing, although I doubt it would naturalize in our chaparral climate. I do intend to grow Joe Pye weed though! It does look a lot like ageratum. 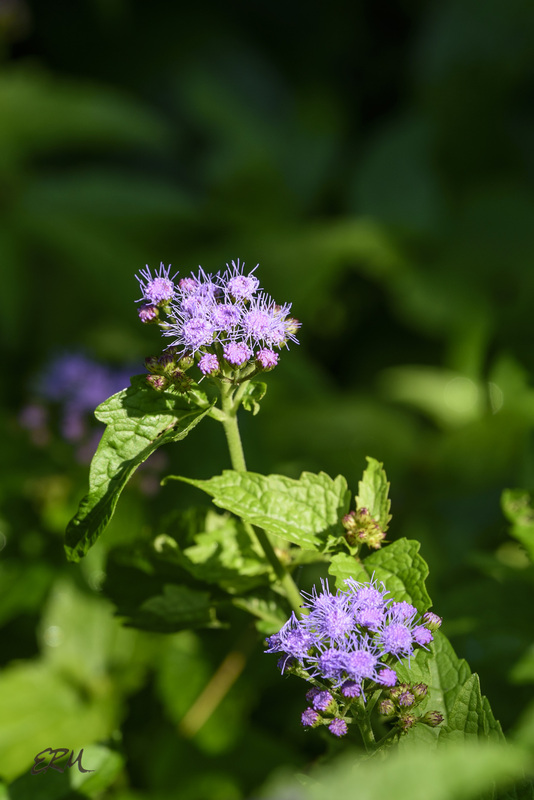 Both mistflower and Joe Pye require a fair amount of water. Joe Pye weed is something that I want to try. It seems to be so common elsewhere. I have never seen it.